After a damp but entertaining opening weekend for the new season at Hockenheim in Germany, Lotus Cup Europe headed to France for the second event of the year. The Paul Ricard circuit in Le Castellet was sure to bring better conditions and the former Grand Prix venue has benefitted from a state-of-the-art refurbishment, combining the layout of a classic track with the facilities of modern F1 autodromes. John Packer headed to the Cote d’Azur with high hopes following his double victory at Hockenheim, but both Nikolaj Ipsen and Xavier Georges were keen to turn the tables, especially after the former won round two on the road, before receiving a time penalty for ignoring yellow flags. Meanwhile in the Production class, Tamas Vizin was looking to extend his early championship lead. Unlike most events, there would be three rounds this time, with the championship supporting the Coupe de France Camions French Truck Racing Championship in front of huge crowds. Georges kicked off the weekend’s action in style, beating Ipsen in Friday’s practice session, which was held in cool, overcast conditions. The sun arrived on Saturday morning, and with it came the day’s big surprise; Anthony Fournier’s 2-Eleven was fastest in the session, by a tenth from Georges, with Steve Williams a quarter of a second behind. If a change in the order was expected for qualifying it didn’t happen, for the 2-Eleven claimed pole position by an increased margin of a third of a second over Georges, whilst Ipsen claimed a second row spot, just a few hundredths behind. 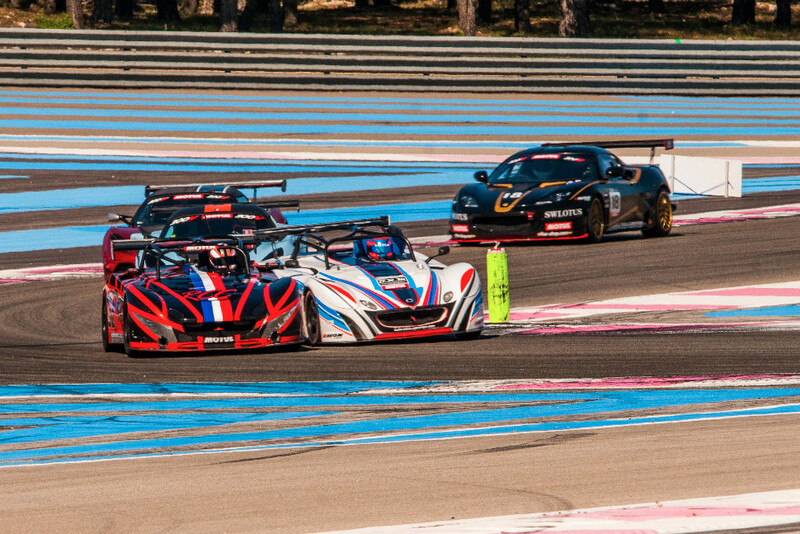 Christophe Lisandre’s 2-Eleven was fourth, and headed the Loups, Philippe being the faster of the pair. A quintet of V6-powered cars were next, Williams heading Valint Tibor, Tommie Eliasson, Andrew Wright and Robin Nilsson. Harry Woodhead led the Open class in 13th position, whilst Tamas Vizin was 21st and on pole for Production, three places ahead of Thierry Hedoin, who was a couple of places clear of third-in-class Sven Pettersson. 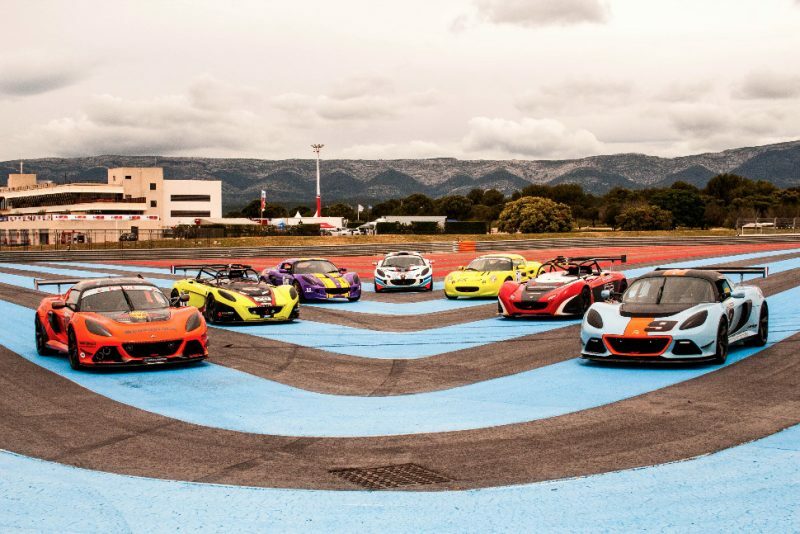 If the technical nature of the Paul Ricard circuit gave the 2-Elevens an advantage over the V6 cars in qualifying, Fournier would still have his work cut out keeping the more powerful cars at bay on the long straights. Sure enough, he spent half an hour with the blue-and-orange Exige V6 of Georges filling his mirrors. 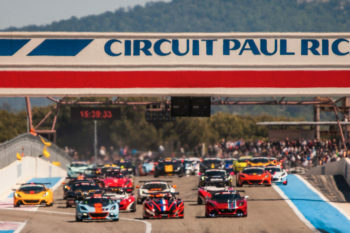 By mid-distance the fight was as close as it had ever been, but with a fast right-hander at the end of the famous Mistral Straight it wasn’t possible to pass the 2-Eleven, which also remained in front into the slower opening corner of each lap. 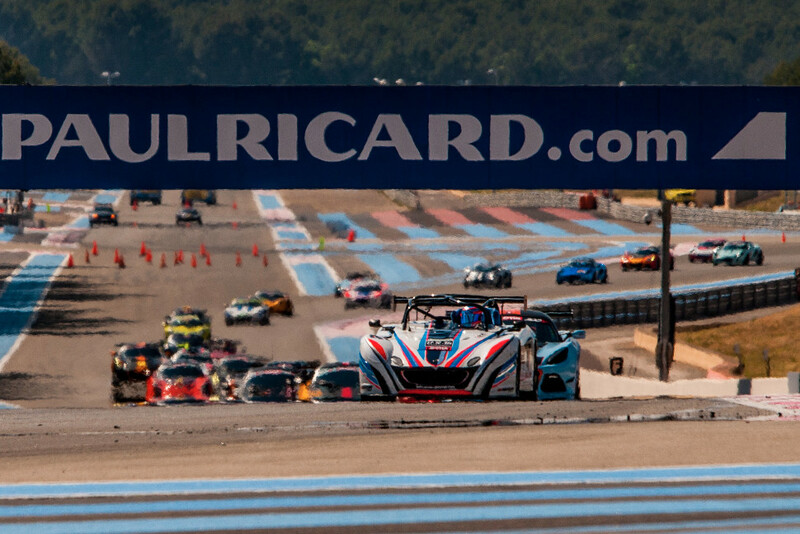 Once Fournier had lapped up this pressure, he began to pull a small gap as the heavier Exige behind appeared to suffer from the heat and abrasive surface. Nevertheless, the winning margin was barely a second, but it was the first 2-Eleven victory in Lotus Cup Europe for almost two years. Fighting to third place was Ipsen, almost ten seconds in arrears, whilst Williams fought past the 2-Elevens of Lisandre to take fourth place. Eliasson also made progress, demoting the Loups, and Philippe managed to stay ahead of his son, pulling a gap of over seven seconds by the flag. Wright and Tibor completed the top ten on a day when the top two classes were equally-matched. The Open class was claimed by Woodhead, who lost a place from his grid position to finish 14th overall. He only just beat runner-up Christopher Laroche, the pair finishing a couple of places and over half a minute clear of Phill Capstick and Matt Bartlett. The Production race was another clear win for Vizin, who did at least have to fight past Hedoin at the start. However the latter would not finish the race, and it was left to James Knight to battle with Cai Cederholm, and this was a podium that would not be decided until the end of the race, with the Englishman grabbing the honours. 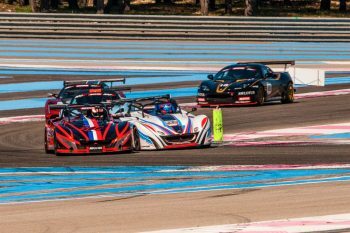 Taking place on an equally warm and sunny Sunday morning, race two began in dramatic style as Lisandre claimed an early second place and battled with Fournier for the lead. This brought a group of cars into play, which included Georges, Ipsen and Williams after the Loup family was despatched with. The battle between the 2-Elevens at the front became increasingly fraught and eventually Lisandre found a way past his rival, who began to slip back from the front of the fight as the drivers encountered traffic. Then late on Fournier spun, and moments later his car erupted into a huge fire that stopped the race five minutes before its scheduled conclusion. This left Lisandre ahead of a chasing Georges, whilst Ipsen and Williams were also locked in battle. Behind them the Loups were split by Fournier, classified after the race was counted back a lap, despite causing the red flag. There was another fight for eighth place, which was won by Wright, after a long squabble with Eliasson, Robin Nilsson and Tibor Valini. Packer fell back from this to finish 12th, ahead of Benoit Roger’s 2-Eleven. Behind Thierry Verheist in 15th place was Open class winner Franck Laroche, two places ahead of Capstick, whilst Vizin took another clear Production class victory in 21st overall. Second was heavily disputed but eventually taken by Hedoin, just ahead of Knight and Pettersson. A good start from Georges gave him the lead over Ipsen in the finale, the pair promoted after Fournier’s earlier fire ruled him out of the final race. However Capstick’s Exige hit the pit straight wall and the race was neutralised for several minutes. When it was restarted, Georges sailed into a lead that he would not relinquish, and kept well out of touch from Lisandre, who spent the rest of the race holding Ipsen at bay, whilst Williams held off J-B Loup, Wright, Elliasson, Philippe Loup, Valini and Packer. 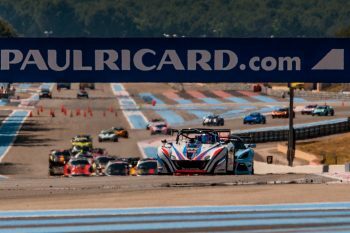 The Open class fell to a Laroche won once more, this time Christopher, as Woodhead’s car was stranded at turn one after the start, whilst Vizin claimed his fifth class win from five starts as he stretched his Lotus Cup Europe championship lead. A few seconds behind him Knight and Pettersson fought for the runner-up position, with the former passing his rival to claim the place. 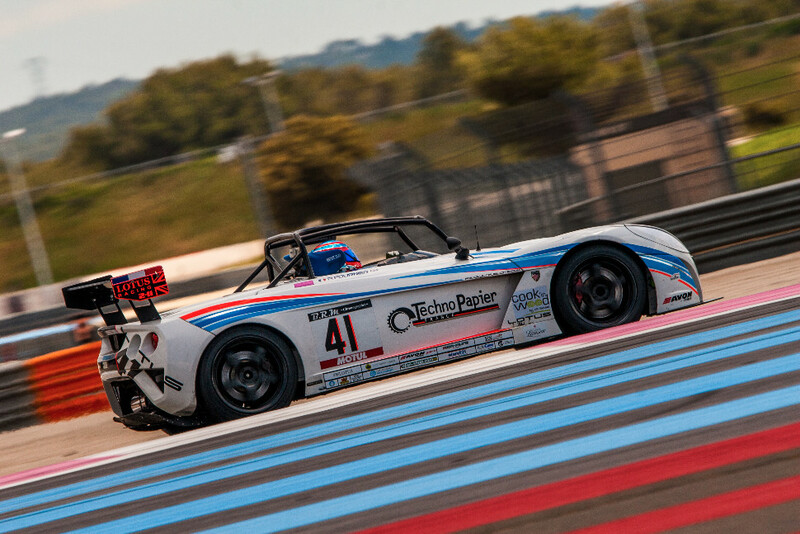 On the evidence of this weekend, Paul Ricard temporarily swung the competitive advantage back towards the 2-Elevens, making for a fascinating weekend, but Georges got his revenge by taking his first V6 Class win, keeping ahead of race two winner Lisandre. Meanwhile Vizin continues to build a strong title lead and must now be favourite for the championship. Lotus Cup Europe moves onto the UK, at Silverstone in early June. It remains to be seen who will benefit at the fast British Grand Prix venue.